A few passing clouds, otherwise generally clear. Low 51F. Winds light and variable..
A few passing clouds, otherwise generally clear. Low 51F. Winds light and variable. Funeral homes often submit obituaries as a service to the families they are assisting. However, we will be happy to accept obituaries from family members. Family members must call our main office at 931-728-7577 & you must provide verification of death . Pricing varies per size of the obituary and or death notice. Mr. William Frank “Frankie” Beaty, 75, passed away Saturday, March 30, 2019 at his home. He was born in Hastings, Neb. on Feb. 23, 1944. Funeral services were 2 p.m. Tuesday at Central Funeral Home with burial in the Rose Hill Memorial Gardens with Military Honors. Visitation was noon - 2 p.m. Tuesday. Funeral services for Mrs. Marcia Paulette Brown, age 73, of Manchester, will be conducted on Wednesday, April 3, 2019 at 3 p.m. at Coffee County Funeral Chapel. Burial will follow in Blanton’s Chapel Cemetery. The family will receive friends on Wednesday, April 3 from noon until the service time. Mrs. Brown passed away on Sunday, March 31, 2019 at Vanderbilt University Medical Center. She was born on Oct. 2, 1945, in Coffee County to the late Lester-Lee and Bessie Shelton. She attended Grace Baptist Church. Mrs. Brown was a homemaker and enjoyed traveling, cooking for her family, shopping, gardening, and most of all spending time with her beloved family. She was a loving wife, mother, and sister. In addition to her parents, she is preceded in death by her loving husband, Billy Brown; one infant son, Richard Allen Brown; one brother, Jerry Shelton; one sister, Edith Vanatta. She is survived by her Children, Clint Shelton (Cindy), Lisa Wilson (Terry), and Angela Frazier (Kip); one brother, Nickey Shelton (Nancy); three grandchildren, Caylee Gilliam (Kevin), Brittany Wilson, and Kody Frazier; one great grandchild, Brody Wilson; two sisters in laws, Nonnie Shelton and Dorothy Brown; and nieces and nephews. You may sign the online guestbook at www.coffeecountyfuneralchapel.com. 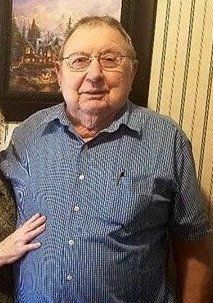 Joe T. Campbell of Manchester, passed this life on Thursday, March 28, 2019 at Alive Hospice in Murfreesboro at the age of 81. Mr. Campbell was born in Kilpatrick, Ala. to the late Walter and Mertie Cash Campbell. During his life, he worked as a florist and was the owner of Bruce’s Florist in Manchester. In addition to his parents, Mr. Campbell was preceded in death by four brothers, James, Hoyt, Ronald and Arnold Campbell; and two sisters, Evelyn Freeman and Ruth Mallott. He is survived by his wife of 61 years, Shirley Campbell of Manchester; two daughters, Cindy Still (David) of Hillsboro and Alethia Bryant (Danny) of Manchester; his special “adopted daughter” Nancy Goodwin (Jacky); three sisters, Jean Glassco, Melba Gilbreath and Bernice Pugh; grandchildren, Jackie Anderson (Jeremy), Jessica Anderson (Joseph), David J. Still (Caila), Darrell Still (Jessica) and Joey Bryant (Whitney); and great-grandchildren, Katelyn Anderson, Hunter Still, Carter Anderson, Emma Still, Harleigh Still, Easton Still and Carson Bryant. Visitation was held on Sunday, March 31 at Kilgore Funeral Home from 5-8p.m.. Funeral services were held on Monday, April 1 at 1 p.m. in the Kilgore Funeral Home Chapel with Bro. Foy Rigney officiating. Burial was at Rose Hill Memorial Gardens. Pallbearers will be Benny and Bernie Blackwell, Joseph and Jeremy Anderson, Michael Smith and Preston Hayter. Funeral services for Mrs. Frieda Crouch, age 82, of Summitville, TN, were be conducted at 10 a.m. on Saturday, March 30 at Manchester Funeral Home with Bro. Lane Dix officiating. Burial followed in Shady Grove Cemetery. Visitation with the family was from 5-8 p.m. on Friday, March 29 at the funeral home. Mrs. Crouch passed away from an extended illness on Wednesday, March 27, 2019 at St. Thomas Rutherford Hospital in Murfreesboro. Frieda was born on Oct. 3, 1936 in Summitville, TN, the daughter of the late James (J.W.) and Esther Lowry. She was a member of the Summitville Church of Christ, a homemaker, and a member of the Red Hat Ladies Society. In addition to her parents, Frieda was also preceded in death by a brother, James Lowry, Jr.; nephew, James (Jimmy) Lowry, III; daughter-in-law, April Crouch; sisters-in-law, Dorothy Taylor and Dorothy Crouch; and brothers-in-law, Leighton, Charles, and Glendal Crouch. Her survivors include her husband, Clyde Crouch; children, Keith (Jennifer) Crouch and Kelle (Jeff) Cantrell; grandchildren, Erin (Daniel) Castillo, Morgan Dyer (Jay Grissom), and Jayme Dyer; great grandchildren, Emory and Alex Castillo, Jonah and Josie Grissom, and Augustus “Carter” Morgan; sister, Sandy Carr (Lars Robinette); sisters-in-law, Judy Lowry and Vivian Crouch; brothers and sisters-in-law, Audrey and Bobby Stone, Jenny and Shelton Jones, and Jerry and Phyllis Crouch; nieces, nephews, and many special friends. In lieu of flowers, the family requests memorial donations to St. Jude's Children's Hospital, 262 Danny Thomas Place, Memphis, TN 38105 or Multiple Sclerosis Association of America, 375 Kings Highway North, Cherry Hill, NJ 08034. The family of SGM Larry Ernst (RET) announces that he has received his final duty posting and has joined his beloved Kathleen Rose in the loving arms of our Heavenly Father. Larry was born in Buffalo, N.Y. on Aug. 14, 1939 to the late Clarence and Ruth Ernst. The SGM served his Country for 30 years that included tours in Vietnam, Korea, Thailand, and the Marshall Islands as well as numerous postings in the U.S.A., after which he served his fellow veterans for twenty years as the Franklin County, Tennessee, Veterans Service Officer. When Larry wasn’t helping his fellow Vets, he enjoyed going on outings with Kathy to where ever their travels took them be it yard sales or antique stores. Larry was preceded in death by his wife, Kathleen Rose, His daughter, Elizabeth Connary, and his brothers, Ronnie, Peter, and Billy Ernst. Larry is survived by his children Larry Ernst Jr., Peter Ernst, and Jennifer Scott; grandchildren, Jason, Jared, Tiffany, Michael, Rylan, Peyton, and Katlyn; nine great-grand children and two great-great-grand children. Visitation was from 11a.m. – 1 p.m. on Tuesday, March 19, 2019 at Moore-Cortner Funeral Home. Graveside services followed at 1 p.m. at Cowan Montgomery Cemetery with full military honors bestowed. Diane B. Foley, age 65, of Manchester, passed away on Saturday, March 16, 2019 at Unity Medical Center in Manchester. Private services are planned for a later date. Diane was born in Pontiac, Mich., the daughter of Nelson W. King and Lois M. Beach (King), and then later retired and moved to Tennessee in 2015 to be closer to her children. She was a self employed housekeeper in Michigan with her own company. Diane enjoyed tending to her garden, camping and spending time with her family, collecting her Snowbabies, and taking care of her animals. Diane is preceded in death by her father, Nelson W. King, mother, Lois M. Beach (King), sister, Karen J. Black (King), and her niece, Melissa Kelly. Diane is survived by her husband, Patrick Foley; two daughters, Bobby Peavey (Maddox) and Sheila and Robert Ichenberg (Maddox); two sisters and their children, Shirley Earich and Art Earich (King) and Yvonne and Wayne Kelly (King); six grandchildren and two great grandchildren, Tyler and Beth Ichenberg and their children (Thorson and Torunn Ichenberg), Krista Estep, Chase and Cheyene Ichenberg, Paige and Cody Sullivan (Ichenberg), Gabriel Peavey, and Trinity Peavey; and several nieces, nephews, and in-laws. Graveside service for Mrs. Anna Mae Horton, age 87 of Manchester, was held on Sunday, March 31 at Rose Hill Memorial Gardens with Danny Rader officiating. 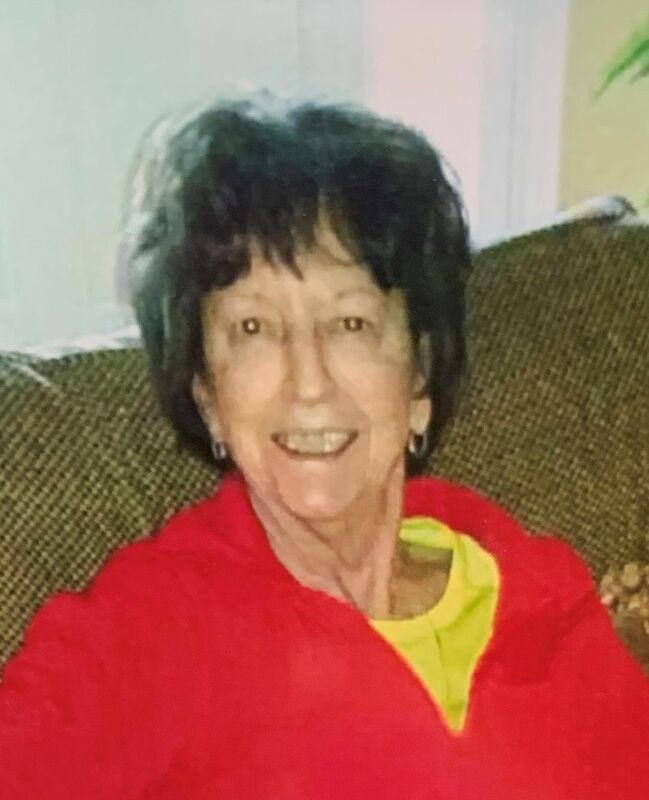 Mrs. Horton passed away on Friday, March 29, 2019 at Alive Hospice in Murfreesboro after an extended illness. Mrs. Anna Mae was born on July 14, 1931, to the late Graham and Mae Ellen Campbell Nunley in Pelham. She was a waitress for the Days Inn in Manchester and attended the Hillsboro Church of Christ. Mrs. Anna Mae loved nature, butterflies, and taking care of her house plants. In addition to her parents, Mrs. Anna Mae is preceded in death by four brothers and one sister. Mrs. Anna Mae is survived by her husband of 33 years, Hallie O’Neal; one son, Ronnie Dale Pool and his wife, Debra, of Hillsboro; one daughter, Linda Gail Parks and her husband, Ricky, also of Hillsboro; one brother, Ed Nunley of Winchester; three sisters, Jean Davis of Pelham, Betty Rader (Danny) of Bridgeport, AL, and Debra Teague (Ronnie) of Pelham; grandchildren, Lance Pool, Heather Tucker, Stacie Vaughn, Misty Morgan, Joseph Parks; great grandchildren, Christian, Raven, and Sage Pool, Ariah and Dagon Tucker, Madison and Xander Vaughn , and Zachary and Kyleigh Morgan; and a host of friends. Mr. Wayne Rose, 65, passed away Tuesday, March 26, 2019 at Tennova Harton Hospital in Tullahoma. He was born in Sewanee, on Dec. 11, 1953. He was preceded in death by his father, Melvin A. Rose; brother, James Aaron Rose. He was the general manager at Bobby Vann Chevrolet for 22 years before becoming an Allstate Insurance agent working at Tullahoma and Manchester. He loved cars and especially muscle cars, Halloween and horror movies. He is survived by his wife and loving caregiver of 27 years, Jelinda Allison Rose; mother, Elizabeth Geneva Green Rose, Alto, TN; brothers, Gary (Kathy) Rose, Sewanee and Troy (Melanie) Rose, Manchester; faithful canine companions, Sierra, Shadow, Aspen and Dickens Rose; several loving nieces and nephews. Funeral services will be 2 p.m. Sunday in the Central Funeral Home chapel with Ministers, Ben Eschenfelder and Roger Jenkins officiating with burial to follow in the Asbury Methodist Cemetery. Visitation: 11 a.m. – 2 p.m. Sunday at Central Funeral Home.